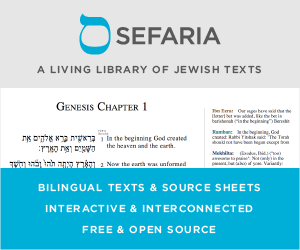 Why is there so much emphasis in the Yeshivish world to learn Gemara in Aramaic? Why can't you find an English artscroll shas in most charedi yeshiva? It is not Lashon Hakodesh and it was written in Aramaic as that was the language spoken at the time but nowadays where English is the vernacular why should Yeshiva students be pushed to learn Gemara in an extinct language. I don't see it as a "punishment" any more than one is punished by having to read Shakespeare in his Elizabethan English, rather than in an "updated" text. It's not because the language is sacred, it's because that's the one that it was written in. After all, every translation is a commentary; are you really satisfied with limiting yourself to those composed by other people, never once learning how to read the actual thing yourself? And since the translators working for Artscroll aren't actually infallible, you'd do well not to rely so completely on what they've written, but learn how to critique it. And what better place to do so than in a charedi yeshiva! According to Tiferes Yisroel the gemara was redacted multiple times by Ravina and Rav Ashi. The reformatted the words to make them more contemporary. The Masechtos they didn't get around to have uncommon words. But apparently even they didn't pull off a complete switcharoo. Over those centuries Latin and other languages were interpolated. But no complete upheaval of the language. Many times authorities are unsure of a word's meaning, and that word has halachic ramifications. We can't just get rid of the original and replace it with our possibly flawed translation. We must study it to become experts in it. One example comes to mind is Rabbeinu Tam in Seffer Hayashar talking about business transactions on Chol Hamoed. He points out that Chazzal disallowed Prakmatia, a word only used to connote a business transaction, not personal acquisitions. This is a subtlety that might have been lost had someone previously translated that word into a more common, respectively modern, language. Aramaic is actually one of the biblical languages (Daniel, Ezra/Nehemia) and even has words in the Pentateuch (e.g. "ygar sahadutha" by the treaty of Lavan and Yaakov). The Maharal interprets the unique significance of Aramaic and advocates that shnayim mikra v'echad targum specifically employ Targum Onkelos for this reason. (In seeming contrast, the gemara in Bava Kamma [at the end of Hachovel(?)]) criticizes those who combine the language of the Babylonians with Hebrew [i.e. the classical version of "Yiddish"] so this likely is irrelevant since the Babylonian tongue alone is advocated there.) Nonetheless, there is certainly a solid argument to be made that if the language comes at the cost of the lomdus, the tafel has replaced the ikar. I am rather surprised at the answers here. There is nothing wrong with learning gemoro in English. But the fact is, it was written in Aramaic. Anyone who has learned meforshim will tell you that each word is 'counted'. There are no superfluous words. Every word contains a chiddush! No one can write like that today, so the English translation is not like the original. Therefore there is no alternative but to learn it in its original language. I must add that the rambam and many others wrote in Arabic. It's helpful if said bochurim plan to learn almost any post-Talmudic Torah literature too. Commentaries on the Gemara, commentaries on Shulchan Aruch, responsa, and much else use a lot of Talmudic expressions. I haven't been in that many Chreidi yeshivot, but I gather that many of them speak Yiddish for the most part, not English. So, I don't quite see how Art Scroll would assist. Regardless, it is always best to read something in its original text and try to learn the language. So, I would extend the premise of your question a bit further. Why aren't yeshivot teaching Aramaic so that students can understand the Gemarra in its original language? When I was in yeshiva, we learned Hebrew for about two years and spoke Hebrew to the teacher and our students in class for half the day. By the time I started learning Chumash with Rash"i, I barely needed the English translation to understand almost every word. In 6th grade, when I began to learn Gemara, we had 5 pages of gilyonot - mimeographed sheets (who here recalls what a mimeograph was?) with Aramaic vocabulary words that we had to memorize and were quizzed on every few days. That was both before and coincidental to learning Gemarah. I should mention that Art Scroll didn't exist then, but Hertz and Soncino were around, but we didn't use them. My point - inevitably, something is lost in translation. It's unavoidable. So, it makes sense to learn it in the original language. The problem, as I said, is that few yeshivot these days are teaching the original language. So, I think that much of your premise isn't completely factual. Not the answer you're looking for? Browse other questions tagged talmud-gemara language aramaic artscroll .